Uber, Lyft and Other Platform Workers: Should They Be Franchisees Instead of Employees? Our Orange County employment attorneys in California have long discussed the employment law conundrums for so-called “platform workers” in the “gig economy.” Companies classify the workers as independent contractors, which strips them of key employment rights such as overtime, breaks, liability insurance coverage, minimum wage and workers’ compensation if they’re injured on-the-job. Workers have alternatively argued in a number of cases they are actually employees, entitled to these benefits. Court rulings have varied, and it’s left an increasing number of workers confused about their rights. Harvard and Princeton economists two years ago issued a report saying at that time, some 12.5 million people – 8.4 percent of the U.S. workforce – were considered independent contractors. 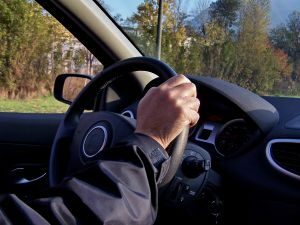 Earlier this year in the first-of-its-kind ruling, a federal judge in Philadelphia sided with the California-based Uber in finding its limousine drivers are independent contractors, not employees, in the eyes of federal law. The court reached the conclusion after examining the level of control over which the company had over its workers, who were allowed to work any hours they wanted (or not), nap, run personal errands and smoke cigarettes between rides. That decision is being appealed to the U.S. 3rd Circuit Court of Appeals. A janitorial company in Anaheim is being sued by the state of California for allegedly paying some 150 works just $400 monthly in wages over the past four years. As the Orange County Register reports, that is far below the minimum wage, which is why California Attorney General Xavier Becerra reports the firm has become a top priority for his office. The janitorial firm reportedly serves an estimated 80 major retailers throughout Southern California, including Toys R Us, Burlington Coat Factory and JoAnne’s Fabrics. These retailers, however, are not accused of any wrongdoing because they contract the work to a Pennsylvania-based firm that specializes in subcontracting such services. As our employment law attorneys can explain, this kind of subcontracting arrangement is typical in the retail sector as well as others, as it shields them from wage-and-hour lawsuits. 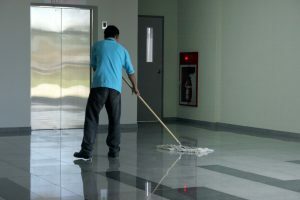 Wage theft and other claims are common in these industries, and affected workers range from janitors (as in this case) to garment workers.